Try to see if you can spot who's at fault here because apparently that's a controversy. 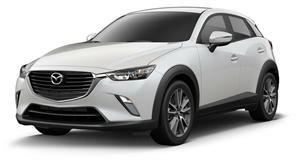 Let’s all take a minute to hate on the Mazda CX-3. We love Mazda itself, but the CX-3 is the most useless car in the automaker’s lineup. It offers zero advantages over the Mazda3 unless you need all-wheel drive, and in that case it’s more sane to buy the exponentially better CX-5 for a smidgen extra. 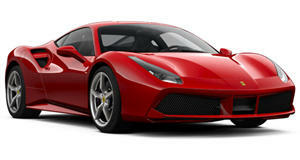 Besides, CX-5 drivers don't have to live with the knowledge that their Mazda didn’t kill off a gorgeous red Ferrari 488 GTB. That's something a CX-3 can claim to have done in Sandton, South Africa. Luckily (or unluckily) for us, the entire thing up until the moment of impact has been captured on camera. If you’re not into automotive snuff films, fear not because the camera only captures the moments leading up to the crash. The post accident photos are brought to us courtesy of South Africa Exposed and have effectively put a dent in our day. Not as big a dent as the ones in this Ferrari, of course, which looks to be a write-off given the severe damage it sustained. Even though it’s clear to see the Ferrari has the green light, speed does appear to play a role in the accident. Our eyes spy the Ferrari speeding ahead of surrounding traffic before the CX-3, possibly unaware that the Ferrari was accelerating so quickly, tried to pull off a right hand turn (equivalent to a left-hand turn in the US) and was rammed by the Ferrari. Our take is that it's the Ferrari's fault, but maybe you see something different? Details are still sparse and thankfully no major injuries were reported, but make sure to let us know who you think is at fault in the comments and try not to let your bias influence the decision.